Large Suite 2 adults – Free Continental Breakfast, Free Wifi, *Free Parking First Come Basis. En-suite room with king size bed & sofa bed, triple glazing. 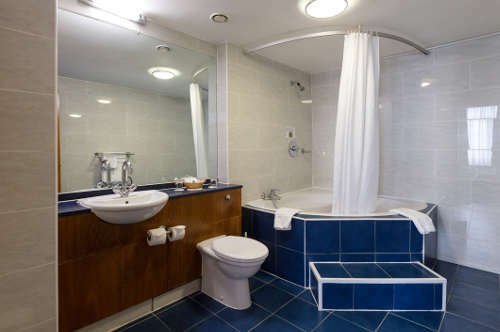 Walk in jacuzzi bath & shower, air conditioning, TV, radio, work desk, hair-dryer, safe, Free WiFi, trouser press, iron & ironing board, tea coffee making facilities. 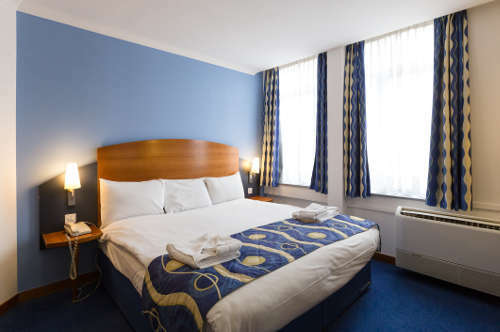 All prices on the www.wembleyinternationalhotel.co.uk website are per room for your entire stay and are displayed including VAT and all other taxes (subject to change of such taxes), unless stated differently on our website or the confirmation email and includes continental breakfast as standard. All advance purchases, saver rates, special offers and promotions are marked as such and are clearly indicated if they are non refundable and non cancellable. Event dates are clearly shown, where applicable, as non refundable / non cancellable. Normal cancellation without charge is when the booking is cancelled more than 24 hours before arrival.